A University of Southampton professor is the only UK recipient of a research grant to explore the laws of physics at the beginning of time. 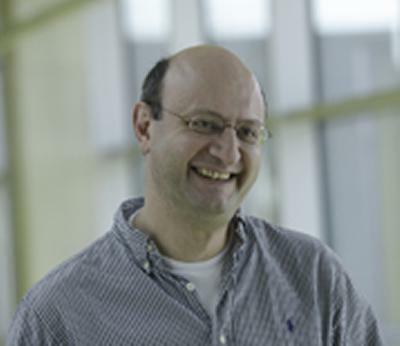 Professor Kostas Skenderis, Chair in Mathematical Physics at Southampton, has been named among 20 other prominent scientists around the world to receive an award from the New Frontiers in Astronomy and Cosmology international grant competition. The awards are presented in celebration of the birth of Sir John Templeton, the late American millionaire, investor and philanthropist who created the John Templeton Foundation to encourage scientists and students across the globe to explore fundamental, big questions in astronomy and cosmology that engage ground-breaking ideas on the nature of the universe. Kostas is the only scientist in the UK, and one of only two in Europe, to be singled out for the grant. He will receive $175,000 to explore the question Was there a beginning of time and space? “There is currently evidence that the universe expanded from an extremely hot and dense initial state. Einstein’s theory of gravity explains very well the universe after it became sufficiently large but we do not know what happened before then,” said Kostas. “Was there a beginning of time and space? What were the laws of physics then and can we test them today? In order to answer these questions we need to combine Einstein’s theory with quantum physics,” he said. “Thanks to this grant I will be able to fund a post-doctoral fellow to help support me in my research into a new theory based on a radical new idea about quantum gravity called holography. “According to holography we believe that, at a fundamental level, the universe has one less dimension than we perceive in everyday life and that it is governed by laws similar to electromagnetism. The idea is similar to that of ordinary holograms where a three-dimensional image is encoded in a two-dimensional surface such as in the hologram on a credit card, but now it is the entire Universe that is encoded in such fashion,” added Kostas. Over the two years, Kostas together with the co-investigator in this grant, Dr Marika Taylor, and their team will aim to develop and investigate a holographic theory for the early universe. He will be presented with his award at a special conference and award ceremony in Philidelphia, USA, on October 12 and 13, 2012, where he will also give a talk explaining more about his future research. The New Frontiers in Astronomy and Cosmology international grant competition is led by Donald G York, the Horace B Horton Professor in Astronomy and Astrophysics at the University of Chicago, and will award more than $4 million in research grants to 20 scientists around the world.